PH, China sign deals on trade, drugs 0 SHARES Share it! Share TweetBy Genalyn KabilingBEIJING – Amid improving bilateral relations, the Philippines and China have forged two agreements on promoting investment cooperation and drug rehabilitation efforts. Exchange of Letters on Production Capacity and Investment Cooperation between the Philippines and China. President Xi lauded the robust relations between the Philippines and China, saying he considers President Duterte a genuine friend and trusted partner. “We keep listening to His Excellency’s talks and progress… achieved in further strengthening bilateral relations in the recent development in our region,” he added. MANILA, Philippines — Former Association of Barangay Captains (ABC) President Mark Garcia and village councilor Michael Garcia were killed in an ambush Thursday while on the campaign trail in Negros Occidental. Initial report from the Negros Occidental police indicated 30 armed men might have carried out the attack while the Garcias were campaigning for incumbent Moises Padilla Vice Mayor Ella Garcia Yulo around 11 a.m. in Barangay Inolingan. ADVERTISEMENTMark and Michael were accordingly the brother and nephew of the municipal vice mayor, who was not hit during the ambush, police said. Garcia-Yulo is running for mayor in the municipality of Moises Padilla. She is up against her uncle, incumbent Mayor Magdaleno Peña. 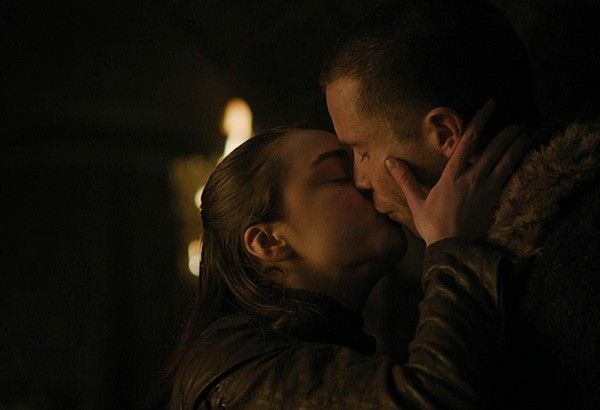 MANILA, Philippines — Fans of HBO’s “Game of Thrones” fans were shocked after Arya Stark (Maisie Williams) had a steamy scene with Gendry Baratheon (Joe Dempsie). #AryaStark #GameofThrones pic.twitter.com/5nlk7OWHrq — JoJo Donovan (@JoJoDonovan) April 25, 2019Maisie took to Twitter to address reactions from fans. “I want to know what it feels like before I die,” Arya told Gendry before doing the deed. Sophie Turner, who plays Arya’s sister Sansa Stark in the series, took to Instagram to troll her friend about the scene. “In honor of Easter, I guess ‘Game of Thrones’ wanted to have a little storyline of a little Easter bunny hop, hop, hoppin’ into that pussaayyyyyy,” Sophie said about the video. CITY OF MALOLOS–A helicopter crashed into a fishpond in a village here about 12:30 p.m. on Thursday, killing three passengers. Sen. Richard Gordon, chairman of Philippine Red Cross (PRC) confirmed that three passengers have died in the crash. Initially, Police Col. Chito Bersaluna, Bulacan police director, said two died instantly when the helicopter, with body marking RP C8098, crashlanded in Barangay Anilao. The Philippine Red Cross (PRC) said around six passengers were on board the helicopter. pic.twitter.com/lFJH0zKc2i — Philippine Red Cross (@philredcross) April 25, 2019PRC’s Ambulance Team also rushed one injured passenger to the Bulacan Medical Center. A vegan restaurant in Victoria, Australia that charged men 18 percent more than women is closing down. Handsome Her, located in Brunswick, Victoria, first made headlines back in 2017 after their “man tax” sparked criticism all over the internet. The restaurant is known to give women priority seating and charge men an 18 percent premium, though the latter is not imposed. In an earlier event page back in March, titled a “A Handsome Farewell”, the restaurant spoke of how their “man tax” blew up the internet when it first came out. “The man tax blew up the internet, an idea that we didn’t think was all too radical,” they said. MANILA, Philippines — Fifteen years since the release of their last movie together, “Milan,” Claudine Barretto and Piolo Pascual are set to reunite for a new movie project. In her interview with Boy Abunda on “Tonight With Boy Abunda,” Claudine confirmed that she is coming back for a movie project directed by blockbuster director Cathy Garcia-Molina. Apart from the movie with Piolo, Boy also asked Claudine if she is willing to do a project with Judy Ann Santos. It's that siguro wala talagang maganda pang project,” Claudine said. I got really, really got sick and I got really, really big. VLADIVOSTOK, Russia – Russian President Vladimir Putin sat down for talks Thursday with North Korean leader Kim Jong Un, saying the summit should help plan joint efforts to resolve a standoff over Pyongyang’s nuclear program. “We welcome your efforts to develop an inter-Korean dialogue and normalize North Korea’s relations with the United States,” Putin told Kim. Kim wants the U.S. to ease the sanctions to reciprocate for some partial disarmament steps he took last year. Last week, it tested a new weapon and demanded that U.S. Secretary of State Mike Pompeo be removed from the nuclear talks. Putin has welcomed Trump’s meetings with Kim, but urged the U.S. to do more to assuage Pyongyang’s security concerns. Enrile sees need for more rigid building code 0 SHARES Share it! Share TweetBy Mario CasayuranFormer Senate President Juan Ponce Enrile stressed Thursday the need to establish a strong Building Code following the earthquakes that rattled Metro Manila, Central Luzon, and Eastern Visayas this week. “We must prepare for it, and one of the preparations that we should make right now, not tomorrow, is to establish a strong building code that can meet any kind of earthquake,” he added. Enrile noted that the deadly impact of recent tremors should be a warning for future instances of stronger earthquakes especially in Metro Manila. “We need to establish a rigid building code that will be enforced rigidly as well. MANILA, Philippines – The NCAA will adjust its calendar to give way to the country’s hosting of the 30th Southeast Asian Games late this year. “We will adjust our athletic calendar because of the SEAG,” said Arellano University chairman and newly installed NCAA president Francisco Cayco during the hosting turnover ceremony at the Bayleaf Hotel Wednesday night. “The NCAA will give way and priority to the SEAG so we will be adjusting the events that will be in conflict with the SEAG,” said Cayco. “We were on the verge of being kicked out of the NCAA because of certain problems but he righted the ship and helped the school get NCAA regular membership. Without him, we wouldn’t be in the NCAA right now,” said EAC president and NCAA Policy Board member Jose Paulo Campos referring to Carlos. 7 of 10 Filipinos aware of partylist system 0 SHARES Share it! Share TweetBy Ellalyn De Vera-RuizMore registered voters are aware of the partylist system, less than a month before the midterm elections in May, according to a survey by Pulse Asia released on Thursday. In the nationwide survey conducted from March 23 to 27 with 1,800 respondents, 74 percent have heard, read, or watched something about the partylist system. During the same survey period, Pulse Asia found that 14 partylist groups garnered support above the 2 percent threshold. Of the 134 Commission on Elections-accredited partylist groups listed on the ballot, 14 partylist groups managed to get more than 2 percent support from the voters with partylist group preference, assuring each of them one seat in the House of Representatives. Far-right party leaders meet in Prague ahead of EU voteBy The Manila TimesPRAGUE: Prague will on Thursday host a meeting of populist far-right party leaders seeking unprecedented success in European elections next month following a steep rise of anti-EU movements across Europe. France’s National Rally head Marine Le Pen and Dutch Freedom Party leader Geert Wilders are among the speakers, while Italian League leader and Interior Minister Matteo Salvini will send a video message. A Czech far-right band will open the event at Prague’s central Wenceslas Square, hosted by Czech lawmaker Tomio Okamura, who is head of the Freedom and Direct Democracy (SPD) party. “On Thursday, the SPD will officially launch the EU election campaign. Low turnoutBut whether the SPD will make it to the European Parliament remains a question, mainly because of traditionally low turnout. Heroic police dogs lauded 0 SHARES Share it! Share TweetBy Marjaleen RamosThe Metropolitan Manila Development Authority (MMDA) K9 police dogs involved in the search and rescue operations in the collapsed supermarket in Porac, Pampanga were lauded on social media. Although not shown in photos, other K9s involved in the operations, namely, Ringo, Cody, Chia, Dumbo, Chaplin, and Lucy were also given recognition. A powerful 6.1 magnitude earthquake struck Luzon including Metro Manila on Monday. Five of the 12 fatalities were from the Chuzon Supermarket while the other seven were from various barangays of Porac. MANILA, Philippines — Catriona Gray, or simply “Cat” to those close to her, astounded beauty enthusiasts with her “unapologetically” labor-intensive Vogue makeup tutorial recreating her winning Miss Universe 2018 look. “It’s really assessing your eye shape in the beginning. Because everyone has a different eye shape eh,” Cat advised. After assessing your eye shape, she suggested experimenting on different kinds of eye makeup, including liquid eyeliner, powder eye shadow, and different eye shadow gradations, until you reach your desired shape and effect. “Of course, you could copy my tutorial, but we have different eye shapes, ‘di ba? MANILA, Philippines — The National Union of Peoples’ Lawyers has elevated the dangers on their lives of the supposed ouster “matrix” against President Rodrigo Duterte to the Supreme Court. A week from when the NUPL knocked on the SC’s door to ask for the issuance of a writ of amparo, the group was tagged in a supposed ouster plot to boot out Duterte from office. READ: NUPL seeks court protection from 'threats' by state agentsThe pleading was filed on Wednesday, but a copy of which was made public only on Thursday. 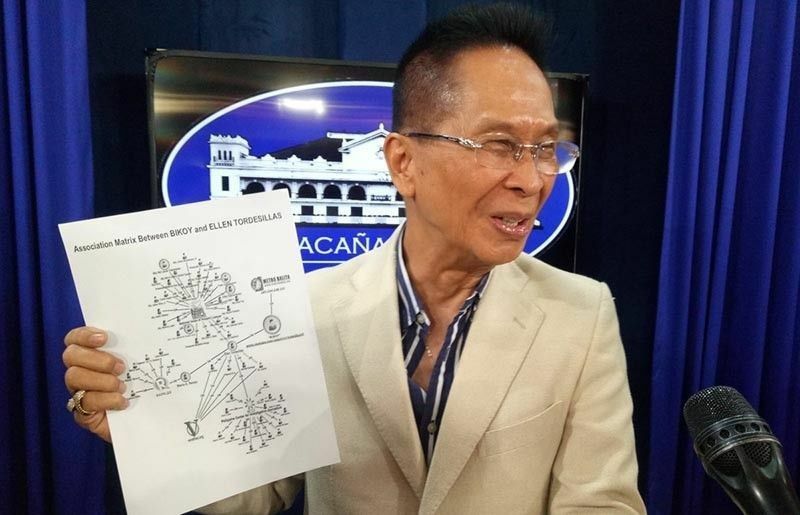 Presidential spokesperson Salvador Panelo likewise said the charts were authentic and that the president himself is the source and should be believed. The NUPL had earlier said the matrix is “absurd” and risks their safety, security and liberty. Palace: PH stand vs Canadaover trash shipment ‘non-negotiable’MALACAÑANG on Thursday maintained that the Philippine government’s stand for Canada to take back heaps of trash illegally shipped to the country was “non-negotiable.”Palace spokesman Salvador Panelo made the statement as he warned Canada that it would risk its decades-old diplomatic ties with the Philippines if it failed to recover its garbage from the country. “Our stand against its making our country a garbage bin of their waste is non-negotiable. On Wednesday, Canada affirmed its commitment to working with the Philippine government over the garbage problem after President Rodrigo Duterte threatened to declare war over the issue. We’ll declare war against them, we can defeat them,” he added. The shipment of Canadian waste was deemed illegal, as provided by the Basel Convention signed by the Philippines and Canada.